Botanicals: 12 botanicals including juniper, lavender, lotus leaves, white poppy, dragon eye, liquorice, almond, cassia bark, angelica root, lemon, coriander, orris root. Bulldog London Dry Gin was created by Anshuman Vohra, who left his finance job with JP Morgan in New York to create the gin and brand in 2006. Whilst being named in reference to Winston Churchill's nickname of 'The British Bulldog', the botanicals feature a distinctly Asian twist inspired by Anshuman Vohra's travels with his father who was a diplomat. The botanicals include Chinese lotus leaves, white poppy and dragon eye (similar to lychee) alongside traditional botanicals. Officially launched in 2007, Bulldog Gin and was bought in 2017 for £46.8 million by Campari, who already had the distribution agreement since 2014. 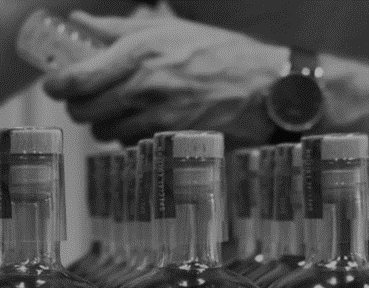 The distillation and bottling is third-party contracted to G&J Distillers in Warrington, UK. For another excellent value gin with eastern inspirations, try Opihr Oriental Spiced Gin.